This year, 2015, Culture Night takes place on Friday 18th September. It is a nationwide event in Ireland which celebrates all aspects of Irish culture from the arts, creativity, design, craft, history, history and sport. 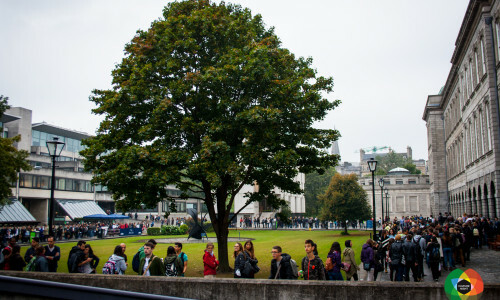 Many cultural institutions including museums, theatres, galleries and studios throughout the country open their doors to the public with admission being free of charge. In many cases collections or areas which are normally off-limits are also opened for the occasion, with numerous workshops also arranged. The purpose of the Culture Night Celebration is to encourge people to experience culture in their local area or nearby towns and cities. It also raises the profile of cultural centres and resources and encourages people to get involved with or engaged in their culture. Many people, groups, clubs, organisations, schools, colleges, universities, public bodies, state agencies, local authorities and government departments are behind Culture Night and their involvement, expertise and generousity is what enables it to happen. 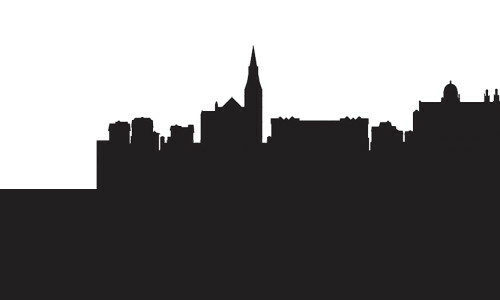 What’s On for Culture Night 2015? 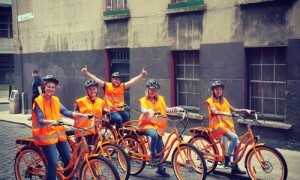 A bike tour of The Liberties, stopping off at some of the venues open for Culture Night. 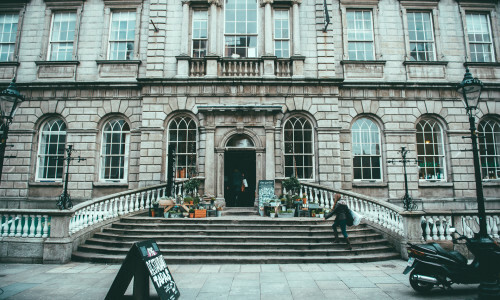 The route takes in Dublin Castle, Chester Beatty Library & Dubhlinn Gardin, St Patrick’s Cathedral, Marsh’s Library, Dublin food Co-op & New Market Square, NCAD, Cornmarket & City Hall. For more see Bike Tour. 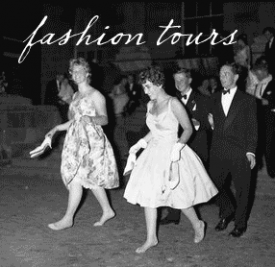 Tours exploring Dublin’s stylish past given by fashion historian Ruth Griffin. For more see Lost Fashion Tours. This tour, given by author Brian Hanley, explores Dublin’s industrial and military history from the time of the creation of the Phoenix Park up to the Civil War. 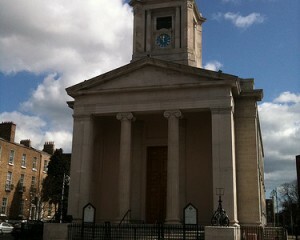 For more see Phoenix Park + Museum Quarter. 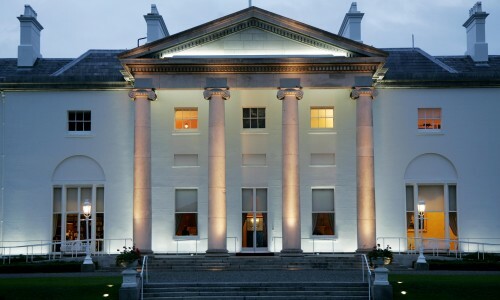 The house, in the Phoenix Park, home to the President of Ireland, currently Michael D Higgins is opened to the public for Culture Night. For more see Áras an Uachtaráin. 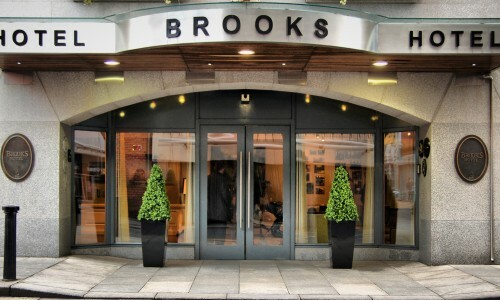 Hosted by Brooks Hotel, actor Jim Roche will read extracts from the works of W.B. Yeats with classical piano accompaniment. 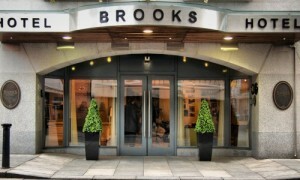 For more see Brooks Hotel W.B. Yeats Celebration. 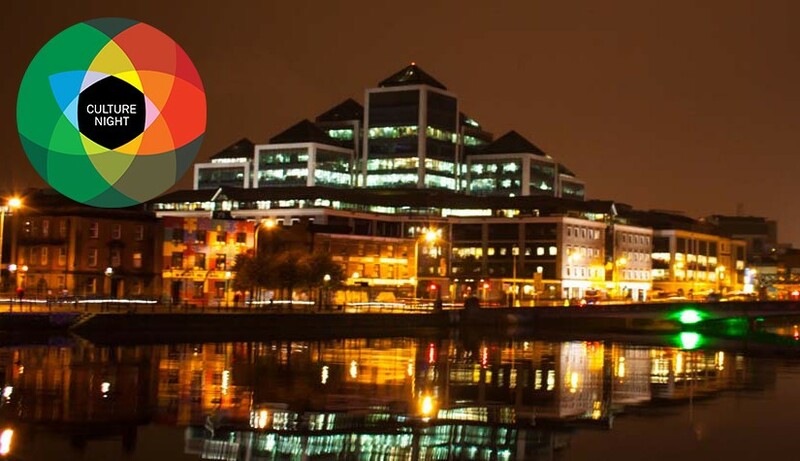 The Centre presents the New Voices of Ireland Series entitled “Beyond the Obvious, Beyond the Familiar – from producing things to nurturing the social capital”. It comprises light and fragrence installations (“smelly art”), video and sound installations, exhibitions, street art performance, talks, Q&A and podcasts. For more see Centre for Creative Practices. 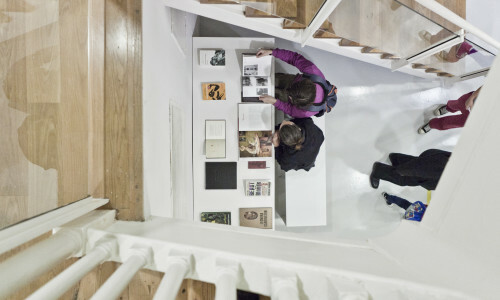 A number of events are planned including a tour of the Wicked Wit exhibition, a guided tour of the library’s treasures, and Edel Meade performing songs by Billie Holiday. Activity packs for families also available. 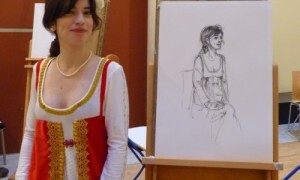 For more see Chester Beatty Library. A night of free taster classes in Hip-hop, Modern Dance, Contemporay Dance, Well Dance for seniors, Ballroom/Latin/Wedding dance and short performances. 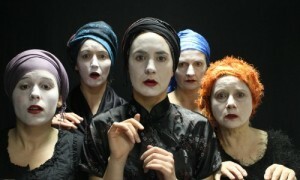 For more see Dance Theatre of Ireland. This is your chance to visit Dublin’s historic observatory at Dunsink. It was the home of mathematician and scientist William Rowan Hamilton. See the Victorian-era engineering and architecture of the telescope and dome. 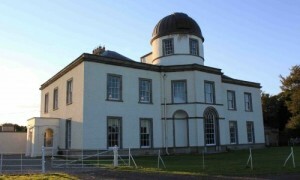 For more see Dunsink Observatory. A German-language tour of Trinity College and the South Georgian Quarter of the city. For more see Dublin International – German Tour. 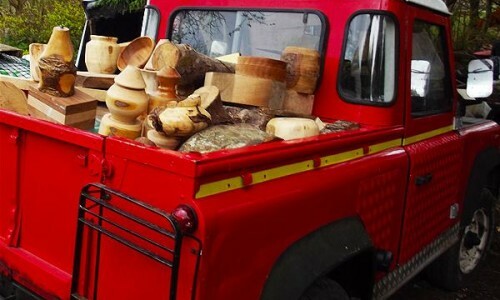 Exhibition of ceramics by Patrick Colhoun and an Urban Art demonstration plus other events at the Gallery Zozimus, Francis Street. For more see Gallery Zozimus. 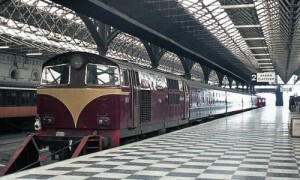 Tour of Irish Rail’s Connolly Station on Amiens Street. The building is of the Italianate style, designed by William Dean Butler. 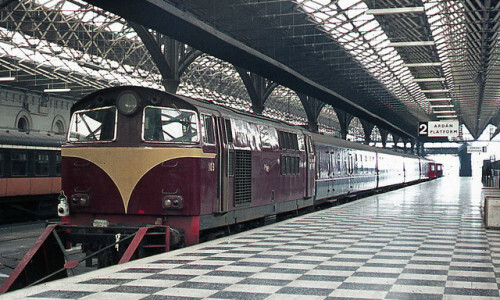 For more see Irish Rail – Connolly Station. This is your chance to the the historic and architecturally impressive Blue Coat School and its grounds. 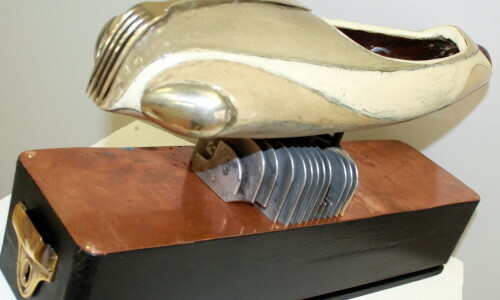 Designed by architect Thomas Ivory. 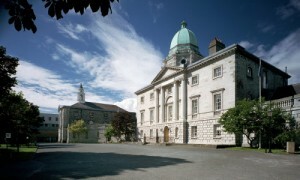 For more see Law Society of Ireland – Blue Coat School. 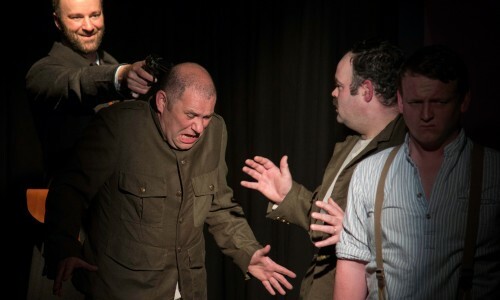 The main auditorium features The Rising Series where local actors perform short excepts from Irish plays about the 1916 Rising. 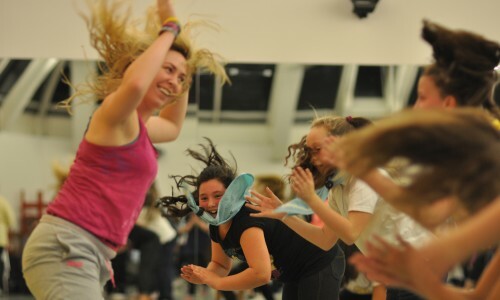 The Maureen O’Hara Studio has a performing arts workshop for children starting at 17:00. For more see Mill Theatre Dundrum. 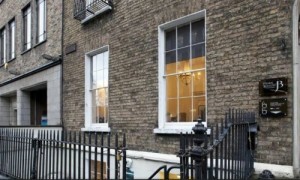 At 15 Henrietta Street there are guided tours of this Georgian building as well as musical performances from leading uilleann pipers and a chance to view the library and archive material. 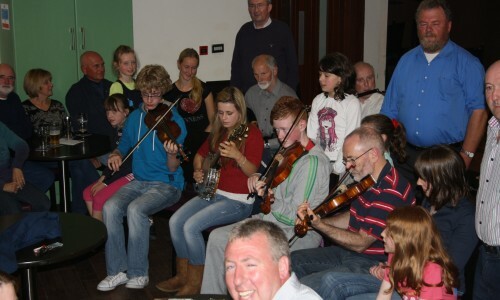 For more see Uilleann Pipers – Na Píobairí Uilleann Teoranta. 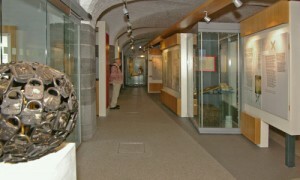 This museum houses a wide collection of Irish mammals, birds and fish as well as more exotic and foreign species. 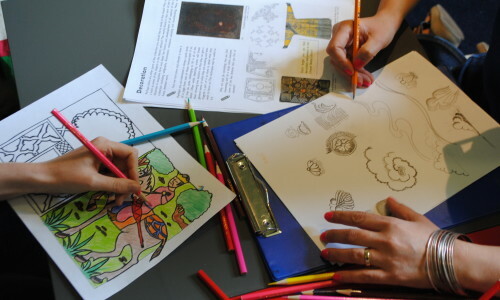 Artist Martina Galvin will help you to create a souvenir of your visit. For more see Natural History Museum. 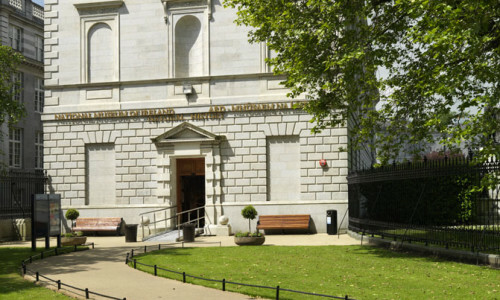 This museum on Kildare Street is organising free guided tours of its wide-ranging collections. You can see prehistoric gold, Iron Arg bog bodies, the Tara Brooch, the Ardagh Chalice, artefacts from the Viking Age and the 1014 Battle of Clontarf among many others. 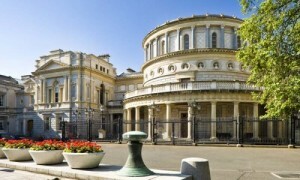 For more see National Museum of Ireland – Archaeology. 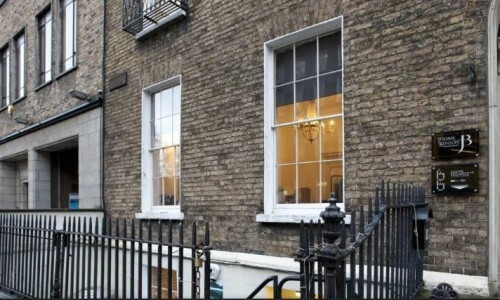 Take the Grand Tour of the Powerscourt Townhouse at 59 South William Street. This is an elegant Georgian building with some fine 18th century architectural features. 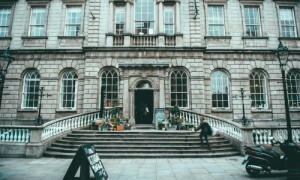 For more see Powerscourt Townhouse Centre. This museum contains many unique exhibits which illustrate the activities of the Irish Revenue Commissioners over several centuries. From financial documents to beautiful measuring devices, fiscal stamps, a poitín still and items siezed at ports and airports. It is located in the crypt of the Chapel Royal, Dublin Castle, Dame Street. For more see Revenue Museum. Learn about the diverse cultures which make up the student body of the RCSI and the interesting characters from the college’s history. 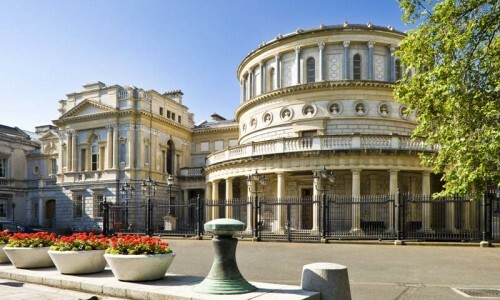 This is your chance to walk its halls & rooms and learn about its seizure by rebels led by Michael Mallin and Countess Constance Markievicz during the 1916 Rising. 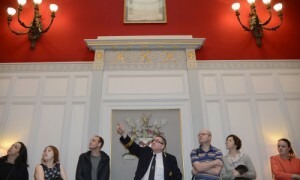 For more see RCSI. This church, also known as The Pepper Canister Church is putting on some short musical recitals and other artistic activities for Culture Night between 17:00 and 22:00. 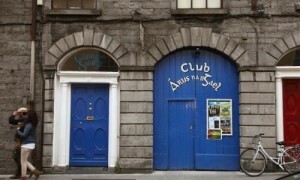 It is located on Mount Street Crescent, Dublin 2. For more see St Stephen’s Church. With tours throughout the evening (18:00 to 21:00) visitors can see the Sean Scully exhibition as well taking part in family activities & drawing workshops. For more see The National Gallery of Ireland. Get a look inside this famous recording studio, synonymous with U2 but which also hosted The Rolling Stones, AC/DC, the Spice Girls, Lady GaGa, Ed Sheeran, Ellie Goulding, Hozier & Kodaline. 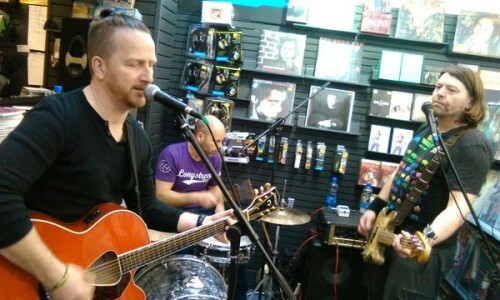 Live shows also planned for the evening. 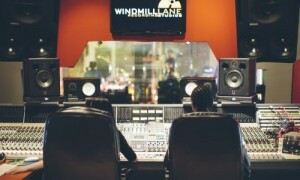 For more see Windmill Lane Recording Studios. An evening of music, song, dance & story-telling starting at 20:30. Gort Road, Ennis. For more see Clare: Cois na hAbhna. Your chance to hear Ireland’s leading classical ensemble, The Vanbrugh Quartet as they start their 2015 Autumn Tour Harvest. For more see Clare: Glór Ennis – The Vanbrugh Quartet. Between 18:00 and 22:00 (last entry 21:30) Cork Skeptics’ Colm Ryan educates & entertains on the topic of detecting false claims, or Baloney Detection. For example, Do ghosts exist? Are vaccines dangerious? Reality versus fantacy. If curious you should go along! 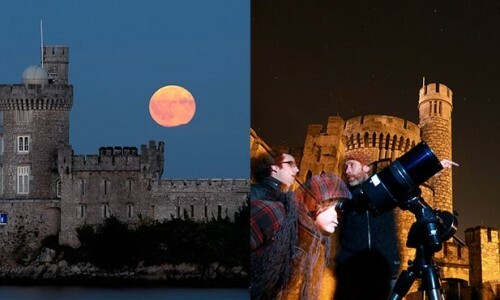 For more see Cork: CIT Blackrock Castle Observatory. An evening of art, workshops and live music from 18:00 to 23:00. Oliver Plunkett St. Lower. For more see Cork Community Printshop. 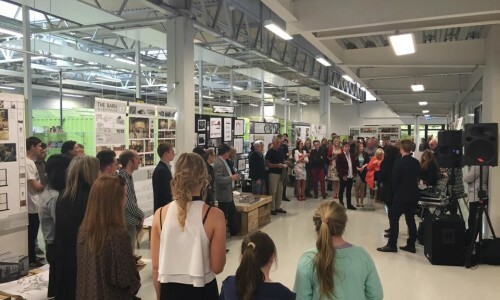 If you are curious about the study of architecture, design, building design or environmental design come and see the work of the students. From 16:00 to 19:00. CIT Melbourn Building, Rossa Avenue. For more see CIT Architecture Factory. This star-shaped fort dates from the 17th century. 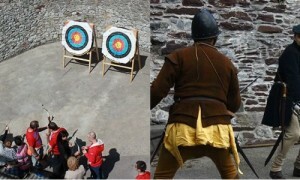 There will be guided tours and archery on display. From 10:00 to 21:00. Barrack Street. For more see Cork: Elizabeth Fort. 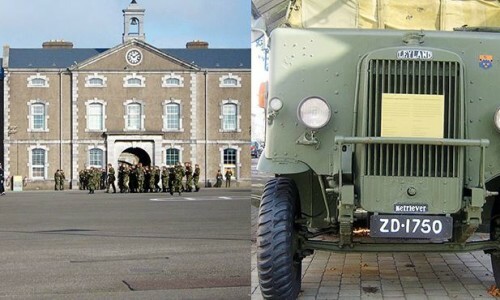 Hear the stories of the personnel who served here for over 200 years. It covers the period while under British rule, the War of Independency, The Emergency (WW2), and the work of the Irish Defence Forces in the UN Peacekeeping Service. For more see Cork: Military Museum. Enjoy the musical performances of a range of Cork’s finest including Eamon Dwyer, Raising Jupiter and John Blek & the Rats. From 15:00 to 21:00. Unit 36 Douglas Court Shopping Centre. For more see Cork: Music Zone. Galway’s Makerspace, a community space for creative projects in art, woodwork, software, photography, electronics & more. Come along and talk to those involved in these projects, take part in workshops, see 3-D printing, virtual reality and play some games. From 17:00 to 21:00. Roxboro House, Raleigh Row. For more see Galway: 091 Labs. 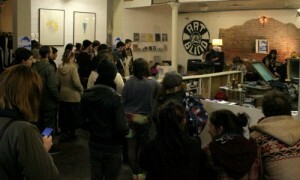 A night of talks, poetry, comedy and live music at The Rowing Club, Woodquay. From 20:00 till late. For more see Galway: Culture Night Party. An evening of music, sean-nós dancing and film. Irish language speakers. Buail isteach agus bain taitneamh as oíche airneáin i gcomhluadar na nGael! Damhsa ar an sean-nós, ceol traidisiúnta, gearrscannáin agus físealaín. From 19:00 to 21:30. Conradh na Gaeilge, 45 Dominick Street Upper. For more see Galway: Club Áras na nGael. Come along for a fun class/workshop in theatre and acting by Core theatre training, especially if you are interested in acting. From 19:00 to 21:00. Bluepot Theatre Company, Munster Avenue. For more see Galway Core College at Blue Teapot Theatre Company. 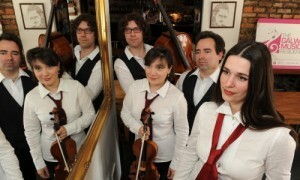 A music trail by the Con Tempo Quartet, taking place in many diverse and unexpected locations around Galway city. 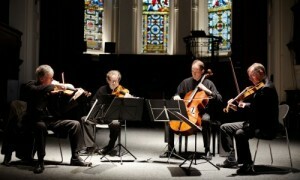 For more see Galway: Con Tempo Quartet. Irish storytelling and demonstration of the tradition crafts of weaving and woodturning. 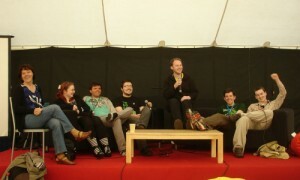 From 17:00 to 22:00 at the big circus tent, Eyre Square. For more see Galway: Pastime Chonamara. 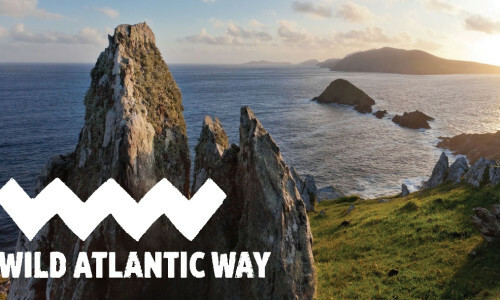 A walking tour of a part of the Wild Atlantic Way starting at the Spanish Arch and finishing at The Anchor, Grattan Road. From 18:30 to 20:00. For more see Galway: Wild Atlantic Way Walk. The above is but small selection of what is on offer for Culture Night 2015. I hope it whets your appetite for more. Have an enjoyable and curious evening!